The Dolphin Premier Robotic Pool Cleaner is a perfect companion to solve all your pool cleaning problems with ease and comfort. 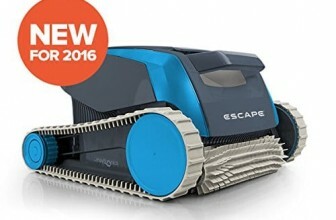 This robotic pool cleaner is made by Maytronics and has advanced mapping, navigation and cleaning features. 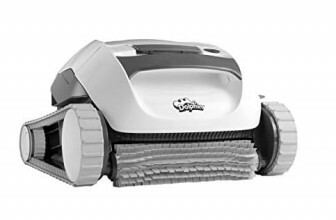 The Dolphin Premier Robotic Pool Cleaner promises to remove dirt, debris, algae and silt from every corner of your pool and comes with a three-year warranty for maximum peace of mind for the pool owner or user. 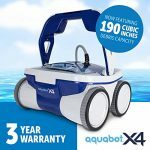 Let us take a detailed look at the features, specifications, pros and cons of the Dolphin Premier Robotic Pool Cleaner below. SmartNav Technology –Based on your pool shape, the SmartNav technology in Dolphin Premier Pool Cleaner automatically scans your pool area to calculate the optimum path for a more efficient and faster cleaning cycle. HyperGrip Technology – While most pool cleaners slip and stumble on harsh surfaces, the Dolphin Premier Pool Cleaner employs its signature HyperGrip technology to maintain better control and grip and reduce slippage while climbing pool stairs or walls. Dual Ballasts – The Dolphin Premier Pool Cleaner delivers superior manoeuvrability, agility and climbing performances while cleaning your pool thoroughly. Higher Filtration Rate –The Dolphin Premier Pool Cleaner utilizes superior grade micro filters to offer upto 75 Gallons of clean and filtered water quality in a minute. The Dolphin Premier Pool Cleaner comes with four media types to allow you maximum flexibility to choose what type of pool cleaning you want. 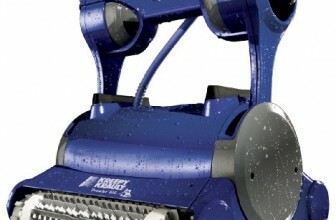 It features a patented 360-degree anti-tangle swivel cable for a hassle-free pool cleaning operation. The Dolphin Premier Pool Cleaner employs a 3000 RPM ultra-efficient DC motor for powerful, faster and thorough pool cleaning. 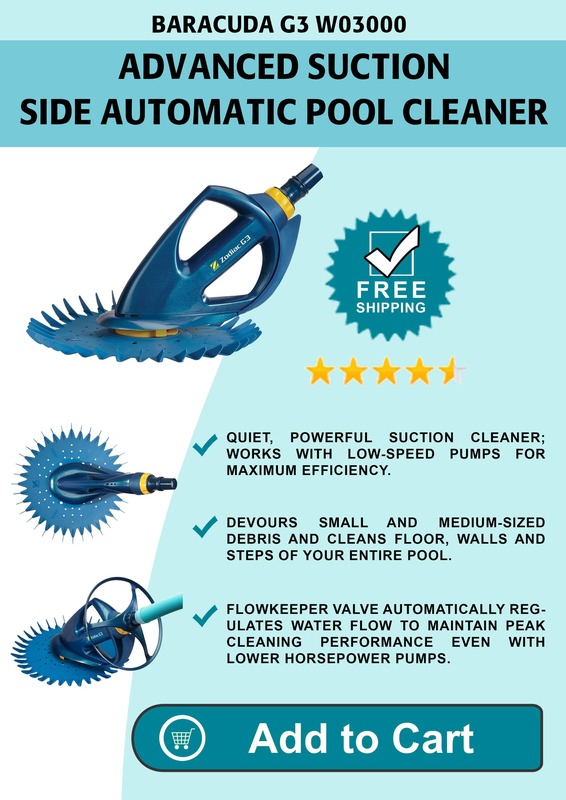 The Dolphin Premier Pool Cleaner is a solid automatic pool cleaner that costs over a thousand dollars and employs state-of-the-art technological features to remove debris, dirt, algae and silt from your pool. The manufacturer comes with multiple filter bags which offer multiple cleaning tasks at once and saves your time and efforts. Although the pool caddy and remote are sold separately, the Dolphin Premier Pool Cleaner utilizes high power DC motor and sharp blades to thoroughly and quickly clean your pool. Its anti-tangle cable is also a huge plus when it comes to hassle-free cleaning and this product will certainly save you a lot of time and efforts in the longer run.